Have you ever “cheated” on your hairdresser and then felt bad about it? This usually happens when your stylist is completely booked but you really really need a haircut. So you go somewhere else and then later feel guilty, much like you’d have if you cheated on a spouse. You don’t want them to know you went somewhere else. It’s…dirty. Which is crazy, but real. It’s because you have this emotional attachment to your hairdresser. You sit there and talk to them the entire time they do your hair, which elevates your relationship to personal with a side of business. They’re no longer just a service provider; they’re part of your circle. The longer you go to them, the deeper the connection, the relationship. Commonly known as the know, like, trust factor, if your clients know, like, and trust you, they’re much more likely to give their loyal business to you than someone they don’t feel a connection with. If you’re not a cosmetologist (and even if you are), you can have a similar connection through blogging. Blogs and stories have the ability to cultivate deeper and meaningful connections. When you emotionally connect with your readers, they see you as a person rather than just someone they throw their money at to get a service or product. When there’s an attachment, it makes for a stronger business relationship. Think you have nothing to blog about? You’d be surprised! I once told the story about my chimney sweeper. I told another story about the time I forgot to pay my tab at a bar. A different time I talked about a bad day. I’m currently working on one about my famous apple cake. Even though the stories themselves had nothing to do with virtual assistants, they relate in some way to my business. No matter the industry you’re in, you’d be surprised how your son’s baseball game or your last oil change appointment can lend itself to your business blog. Because you’re telling stories about your life, you are far more interesting than someone who simply regurgitates statistics with no personality. 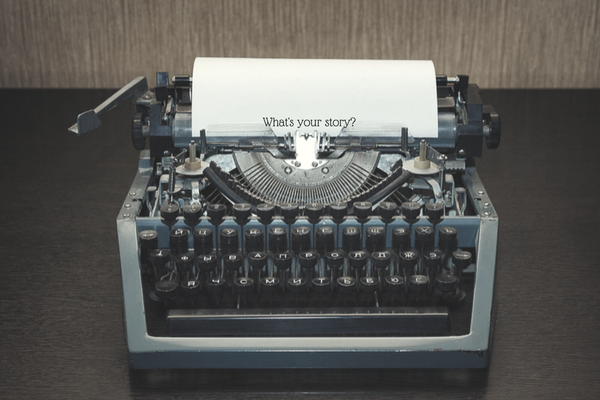 If storytelling doesn’t come naturally to you, you may need help taking those words and stories and connecting them to your industry. That’s what virtual assistants are for. The content writers on our team can take a seemingly useless and random story and turn it into something of value your readers will enjoy and relate to. Your clients want to know you. So let them get to know you! Give me a call and tell me your story. I’ll tell you mine. And we’ll find you an assistant that will turn even your most boring day into an interesting blog post.